Lian Li has built its brand on the promise of quality, its name synonymous with aluminum building materials and a premium price point. Naturally, that means its PC cases aren’t always accessible to those on a tight budget. On Wednesday, the popular chassis builder announced a new line of steel cases that’ll offer prospective customers a cheaper alternative to its premium aluminum enclosures. The Ebonsteel Series is being introduced with three cases: the PC-K5, PC-K6 and PC-K6S, all of which are mid-tower designs that are said to offer competitive air and liquid cooling support, convenient build features and support for full ATX boards. The PC-K5 features two removable drive cages that accommodate video cards of up to 250mm in length when installed or cards up to 400mm in length when removed, seven expansion slots, a 250mm long power supply and a CPU cooler up to 160mm in height. There are two 120mm intake fans on the front panel, a 120mm rear exhaust fan, HD audio jacks, a USB 3.0 port, two USB 2.0 ports, power and reset buttons plus LED indicators at the top and openings for two additional 120mm fans or a radiator. A version called the PC-K5W features a side panel window. The PC-K6, meanwhile, supports up to seven 3.5-inch or 2.5-inch drives that face the right side panel. These are hidden from view when removing the left side panel for a cleaner look, as is the power supply courtesy of a separate cover. Elsewhere, there are two 5.25-inch bays accessible on the front panel. The front bezel hides two 120mm intake fans that draw in air from vents on the side of the bezel. These fans can be removed and replaced with larger 140mm fans or a radiator for liquid cooling should you choose to do so although that’d be at your expense. The top panel hosts two HD audio jacks, a USB 2.0 port, dual USB 3.0 ports and the power and reset buttons. 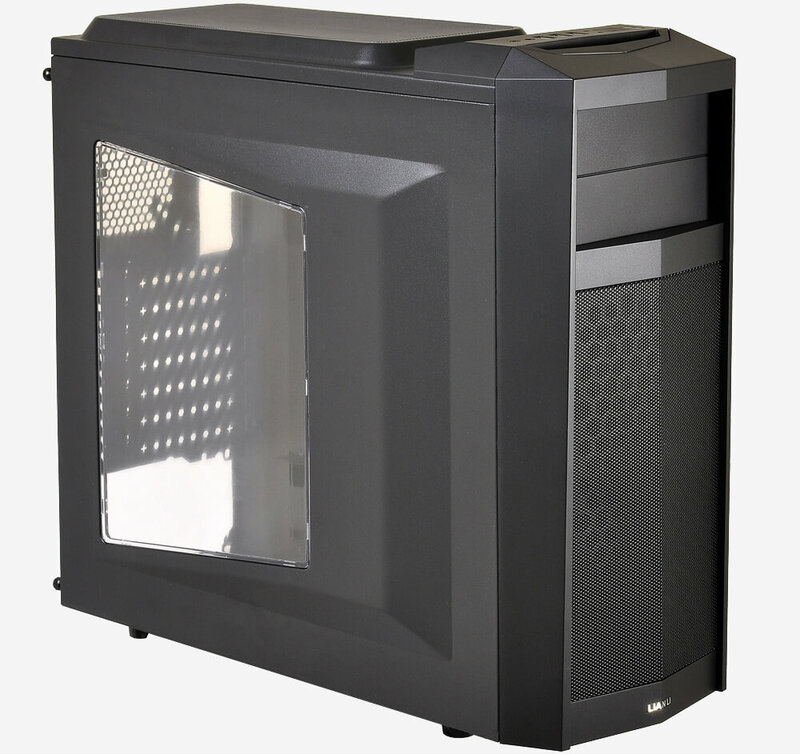 The top of the case features a removable mesh filter and can accommodate two 120mm fans, two 140mm fans or a radiator; note that no fans come pre-installed in this location. On the bottom are four rubber feet and a removable dust filter positioned under the PSU mounting area. Around back is a 120mm exhaust fan, seven expansion slots and rubber grommeted cutouts for liquid cooling tubing. The side panels are plain steel with no windows or vents of any sort. If you’re going for a minimalist look, this certainly fits the bill. The PC-K6 and PC-K6S are nearly identical, save for a few differences. The “S” signifies silence which in this case means the side panels, front panel and top vent are covered with foam dampeners to reduce fan noise. Furthermore, the top panel I/O ports, which consist of HD audio jacks, two USB 2.0 ports and two USB 3.0 ports, utilizes a sliding cover to further lower the acoustic level. The PC-K6S also features a hinged front bezel that hides two accessible 5.25-inch drive bays and the intake fans. All three cases will be available for purchase beginning next month. Expect to pay $56 for the PC-K5 (or $60 for a version with a side panel window), $93 for the PC-K6 and $109 for the PC-K6S.